So you're getting married, now what's the first thing you do? 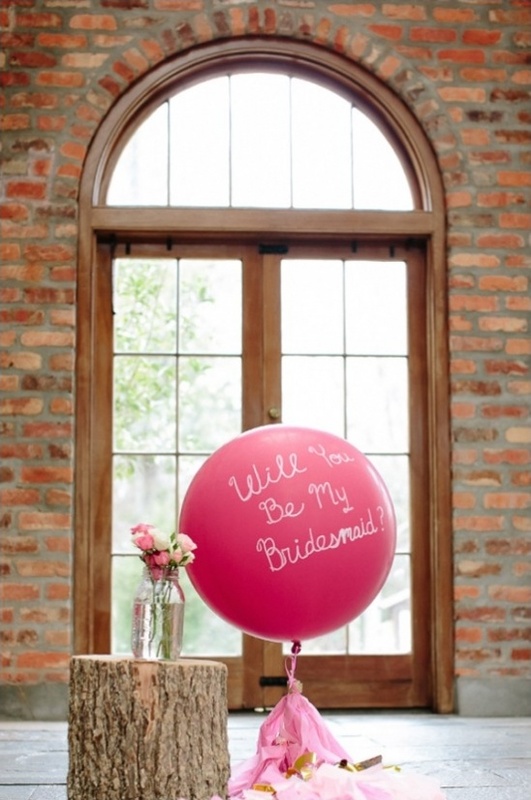 Ask your besties to be your bridesmaids of course! 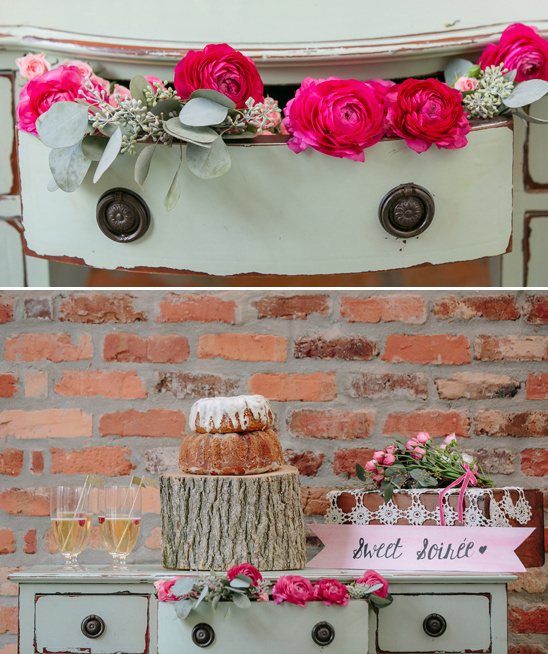 And this next inspiration, designed by Roses & Lace, is here to give you some spectacular ways to pop the question and celebrate, because who has ever said no to a party?! 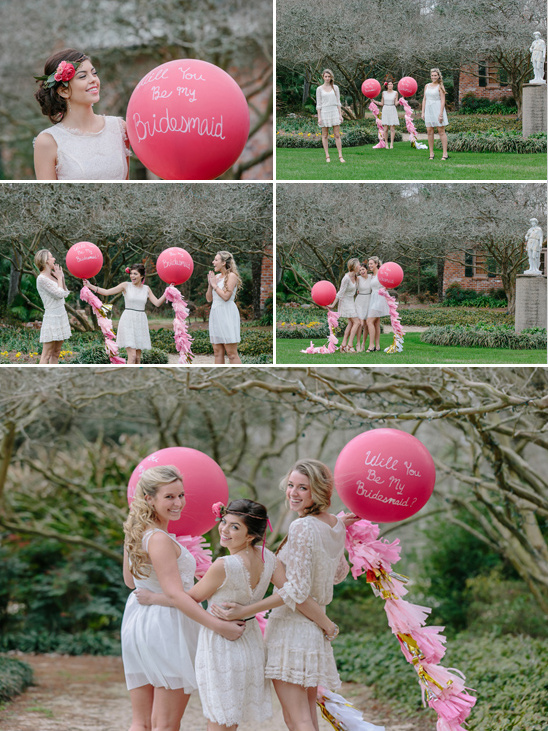 Giant balloons, pink confetti, and champagne...your girlfriends are sure to accept when you throw them their own "Will you be my Bridesmaid" party in pink and gold. 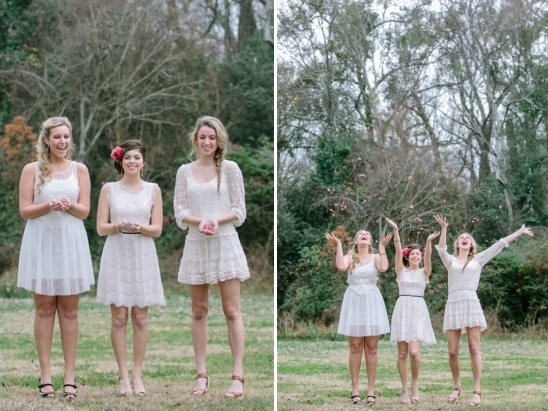 Such a fun idea, right?! Be sure to stop by the full gallery too. 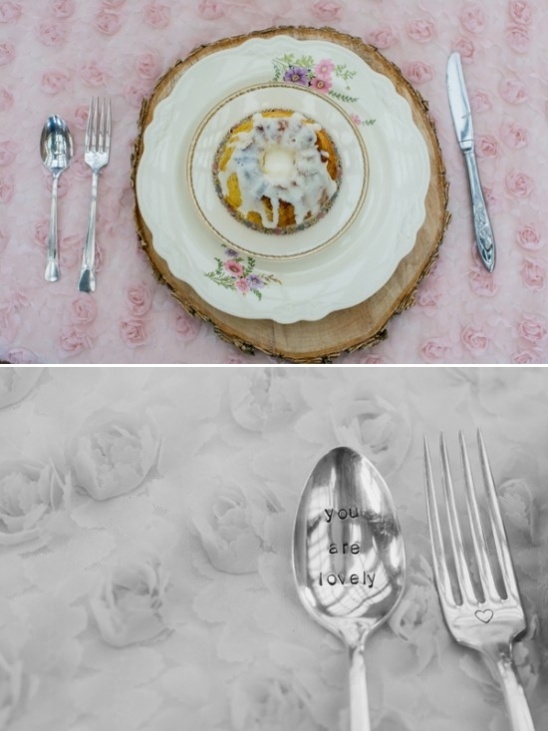 There are tons more great ideas and details beautifully captured by Amy Martin Photography. 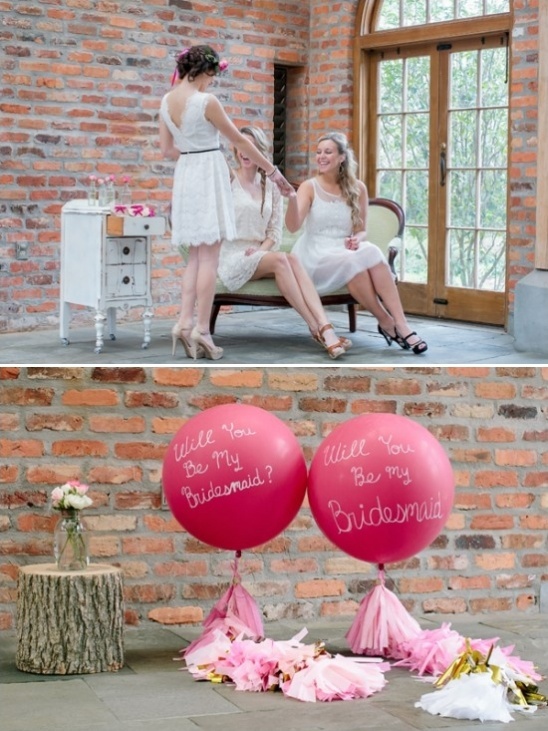 Roses & Lace believes that it's important to ask your bridesmaids in a unique and fun way, that shows how much you truly care about them. 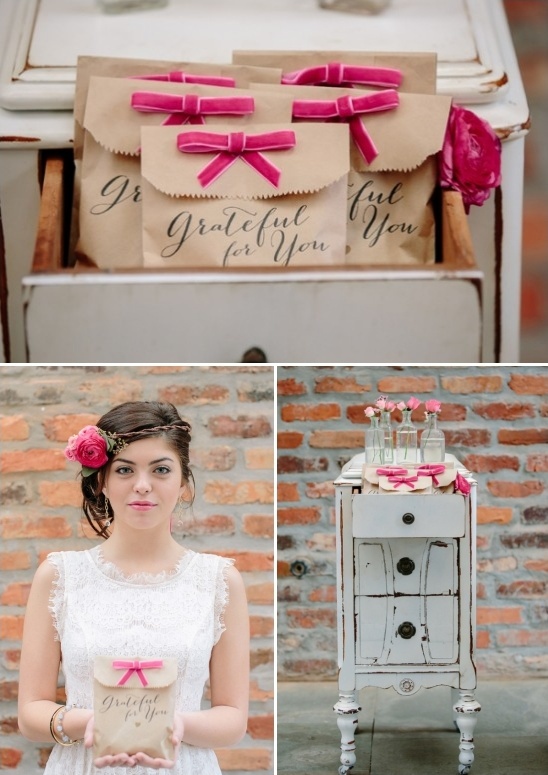 The color palette for this shoot was composed of neutrals, pinks, and pops of fuchsia and gold. 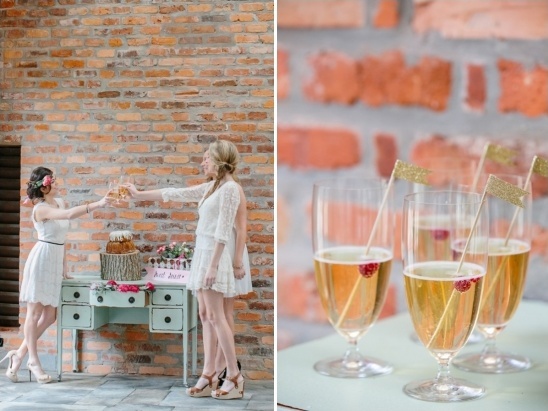 They incorporated a lot of vintage pieces along with some wood elements that contrasted well with the exposed brick building to create an event that really any bride could bring to life herself. 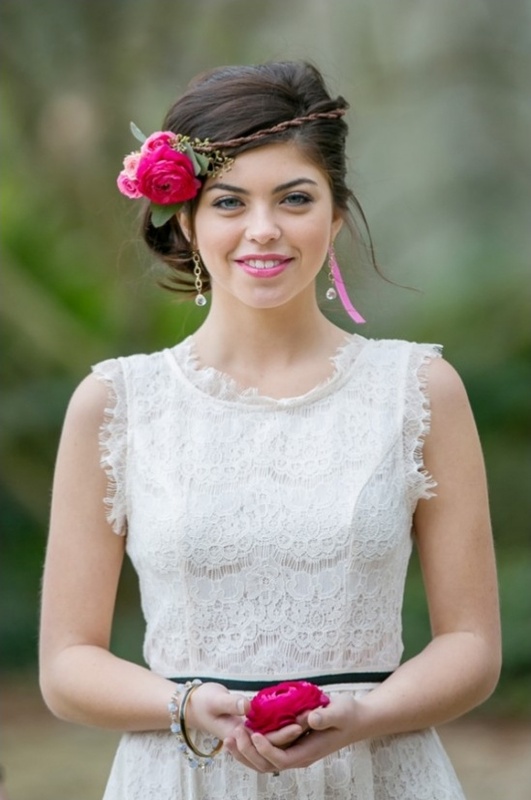 Roses & Lace had a huge part in creating the props for this shoot. 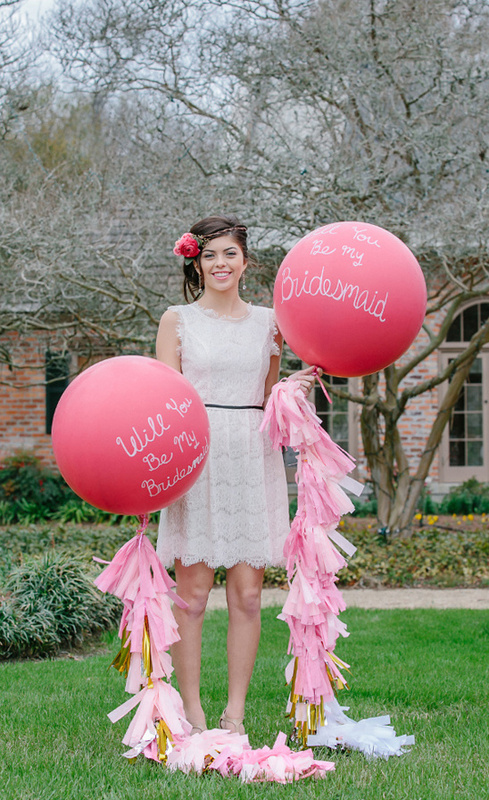 They created the bundt cakes, signs, centerpieces, flower crowns, and Geronimo balloons. 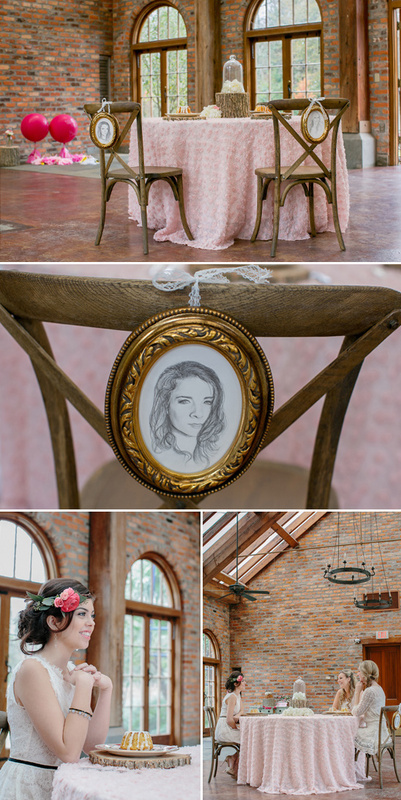 Along with Roses & Lace, several other vendors really brought this shoot together such as: Artist Ricardo Botello, Hair La'Bella, Antiques at the Crossroads, and of course the talented Amy Martin Photography who created the gorgeous images.